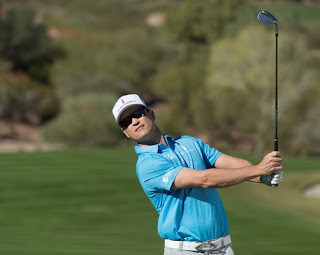 This week, Team RSM Member Chris Kirk is playing in the Farmers Insurance Open at Torrey Pines in San Diego. Joining Kirk are past RSM Classic champions: Ben Crane (2011), Robert Streb (2014) and Mac Hughes (2016). The tournament tees off today (Thurs., Jan. 25), with Ben at 9:10 a.m. PST and Chris at 9:30 a.m. from tee No. 1, followed by Robert at 10:20 a.m. and Mac at 10:30 a.m. from tee No. 10. Best of luck to all “our guys” this week! For more than a decade, Zach Johnson has held what amounts to an annual two-day summit to inspect every part of his game, figure out what needs to get better and make a plan going forward. He referred to the most recent meeting as the best one yet… Even so, he had to contain some excitement leaving his two-day meeting last fall that included everyone involved with his game — swing, mental and fitness coaches, statisticians, his wife and caddie, friends that hold him accountable, even his financial adviser. The annual PGA Merchandise Show began earlier this week in Orlando. This is a fun event where those in the golf industry come together to discover the latest trends in golf equipment, technology, apparel, etc. The PGA of America shared a few of the items that caught their collective eye from the first day here. Check out PGA.com for more updates from the show.